The $5 Real Big Deal combo is back on the menu at Church's Chicken for the second time this year. 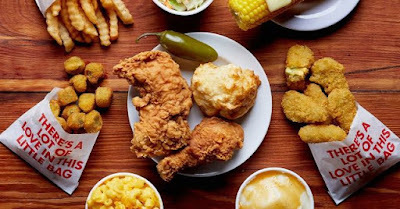 Embracing the popular $5 value price point, the combo includes a choice of either two pieces of fried chicken (mixed) or three Tender Strips plus two sides, a biscuit, and a jalapeno pepper. You can find the deal for a limited time at participating locations. The $5 Real Big Deal was last offered earlier this year in April.